We all know how great a place Melbourne is, and it’s no wonder that the city attracts millions of tourists each year. But what do Melbournians do when they feel like a change of scenery? They jump in their car of course and head for one of the many scenic drives near the city. There are scores of roads and tracks that wind their way through the spectacular Victoria countryside, but if we had to choose a favourite, then these roads would be on our shortlist. 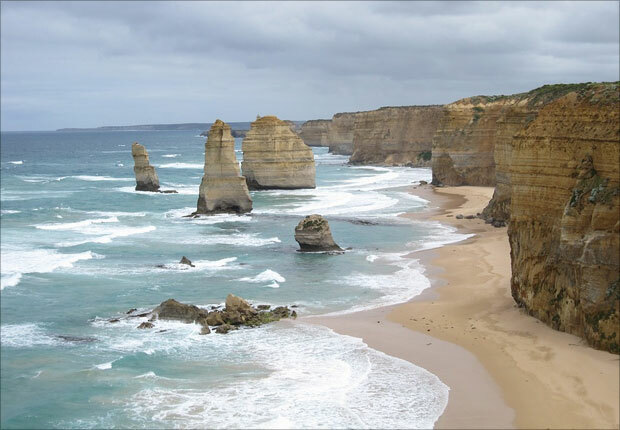 If you haven’t heard of the Great Ocean Road, then you’ve probably never been to Victoria or Australia for that matter. 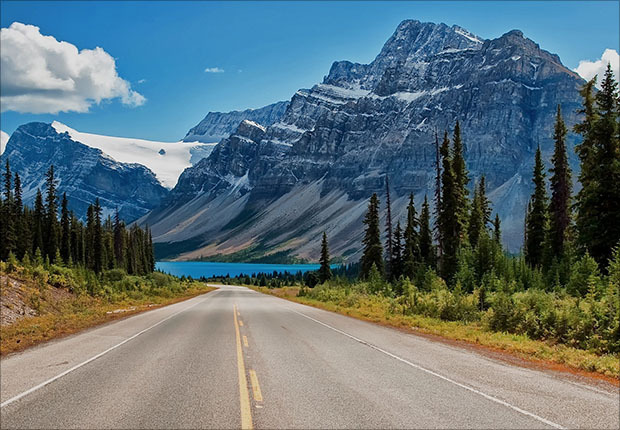 This incredibly scenic road runs for 664km and is one of the country’s most famous routes for an easy road trip. It will take you the guts of ten hours to drive the entire length of it but why would you do that? Just take a weekend and drive from one end to the other and enjoy views of beaches, cliff faces, and the most popular attraction along the route; The Twelve Apostles. Less than an hour’s drive from Melbourne and set in the Dandenong Ranges, Mount Dandenong Tourist Road is a drive that brings fresh air and spectacular views of both the countryside and of Melbourne itself. This drive takes you through lush forests and picturesque countryside while bringing you over to 600 metres above sea level. It’s an easy road to drive, and there are plenty of places to stop along the way to take a few photos or grab something to eat. This road is so enjoyable to drive on that Top Gear Australia named it the best driving road in the country. That’s a pretty big call but one that we wholeheartedly agree with. This gradual ascent through the Yarra Ranges National Park is an unforgettable experience and one for the bucket list of anyone that loves driving. The road takes skiers to Lake Mountain Resort, but many of the people that drive it do so just for the thrill of the drive rather than to hit the slopes. And with a few hairpin turns you’d be forgiven for thinking you’ve somehow ended up on a Swiss Alpine Road. And speaking of winding mountain roads, The Great Alpine Road is another one for the list. 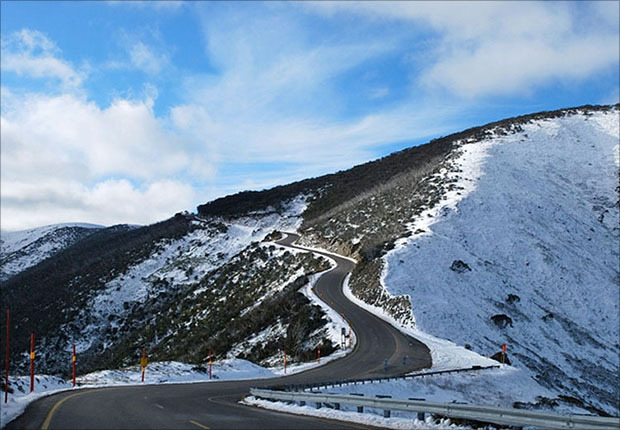 There’s no doubt that the entire road is a great drive, but the 110km stretch from Bright to Omeo is like no other road you’ll ever experience in Australia. Views of snow-capped mountains and endless twists and turns make this a driver’s dream road but remember to bring snow chains if it’s snow season. This particular stretch of road reminds us of that chase through the Alps in Goldfinger. Now, all we need is an Aston Martin DB5. Turtons Track is an amazing little road that winds its way through rainforest country and is really fun to drive. Now it’s not one you’d just pop down to for a quick spin as it’s a two-and-a-half-hour drive from Melbourne, but it’s definitely worth checking out if you’re doing a Great Ocean Road trip. Not that long ago, you could only really take this road in a 4X4, but now that it’s sealed, it’s a much safer road and suitable for all cars. 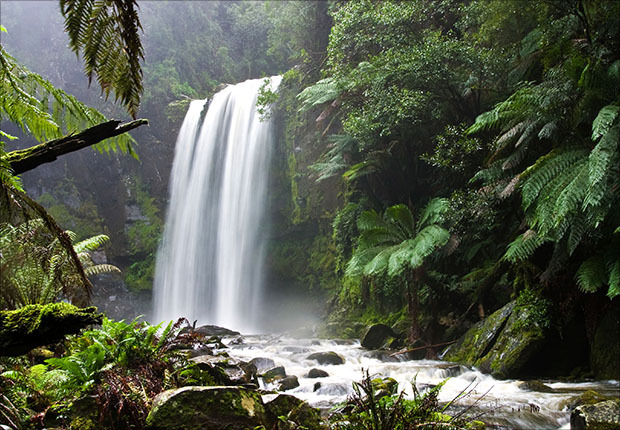 The road leads to Beech Forest-Mount Sabine Road which you can turn off to stop and take a look at Hopetoun Falls. 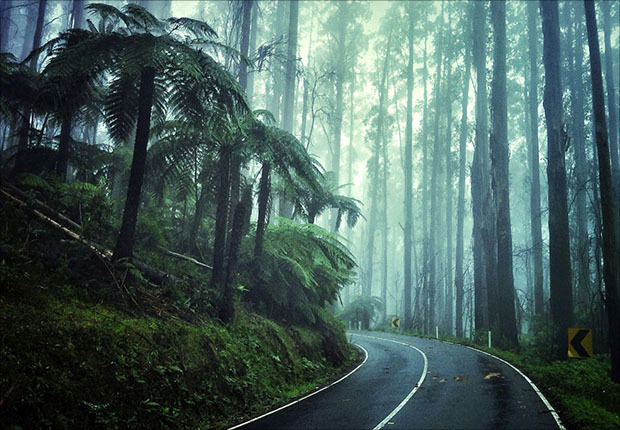 A 30km drive between Healesville and Narbethong that winds through majestic trees and giant ferns, this is one of the most popular scenic drives near Melbourne. The fact that it’s only an hour from the city means that you’ll find plenty of Sunday (and Saturday) drivers there on the weekend so traffic can sometimes move at a crawl. If you’re there for the scenery, then this shouldn’t be an issue, but if you’re there for the pure joy of driving this forest road (of course you are), then it’s best to hit it on a weekday when traffic is pretty light. Whether you’re in the city on a short trip or live there permanently, you can only truly experience everything Melbourne’s surrounding countryside has to offer behind the wheel of a car. Of course, you can enjoy the many restaurants and cafés, the vibrant nightlife, and the city’s many cultures but to really get a taste of Victoria you need to get out of the city and experience a couple or even all of these scenic drives. Living in Melbourne and in need of a car? Give us a call on 1300 STRATTON (787 288), and one of our consultants will help you get started on the road trip of a lifetime.